Choctaw Nation is accepting princess applications. DURANT, Okla. – Applications are now being accepted for participants in the 2019-2020Choctaw Nation district princess pageants. 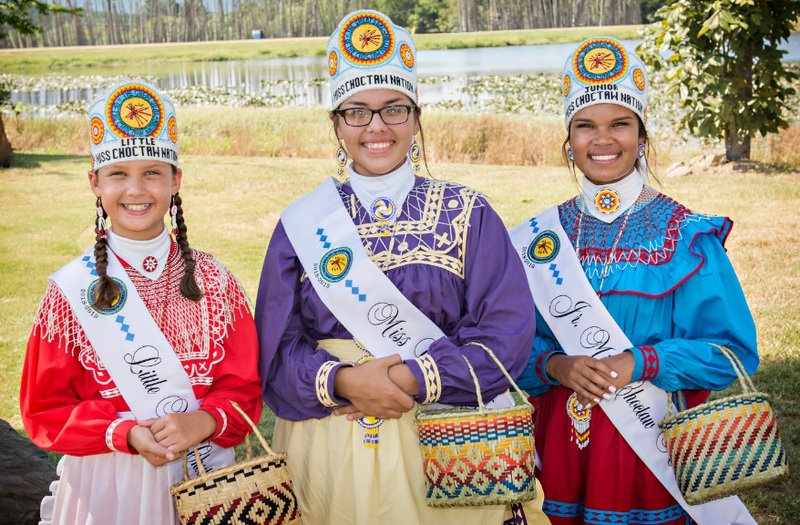 Each of the 12 districts of the Choctaw Nation will hold the competition to choose three princesses: Senior Miss Choctaw Nation, Junior Miss, and Little Miss for each. The winners in each district will compete in the finals pageant at the Choctaw Nation Labor Day Festival in September. Contestants must live within the district in which they compete, must be single, have a minimum of 1/16th Choctaw blood quantum, and not have held the title before. The Senior Miss group is for ages 18 through 22, Junior Miss is 13 through 17, and Little Miss is 8 through 12. For a full list of contestant guidelines, visit https://www.choctawnation.com/2019-2020-district-princess-pageant-information. All pageants start at 6:00 pm and will be at the local Choctaw Nation community centers, except for that of District 9, which begins at 7:00 pm at the Choctaw Nation Event Center. The Choctaw Nation is the third largest Indian Nation in the United States with close to 200,000 tribal members and 10,000 employees. The first tribe over the Trail of Tears, the historical boundaries are in the southeast corner of Oklahoma. The Choctaw Nation’s vision, “Living out the Chahta Spirit of faith, family and culture,” is evident as it continues to focus on providing opportunities for growth and prosperity. For more information about the Choctaw Nation, its culture, heritage, and traditions, please go to www.choctawnation.com.